With more than 400 episodes across 18 seasons, Law & Order: SVU has brought a lot of ridiculous plots to life. They’re so ridiculous, in fact, that it’s become pretty much impossible to tell the difference between an actual SVU plot summary and some crazy nonsense that anyone with a sense of humor and a feel for the show’s sensationalist sensibilities has conjured up. But surely someone who’s actually worked on the show for the last 10 years could spot the fakes, right? 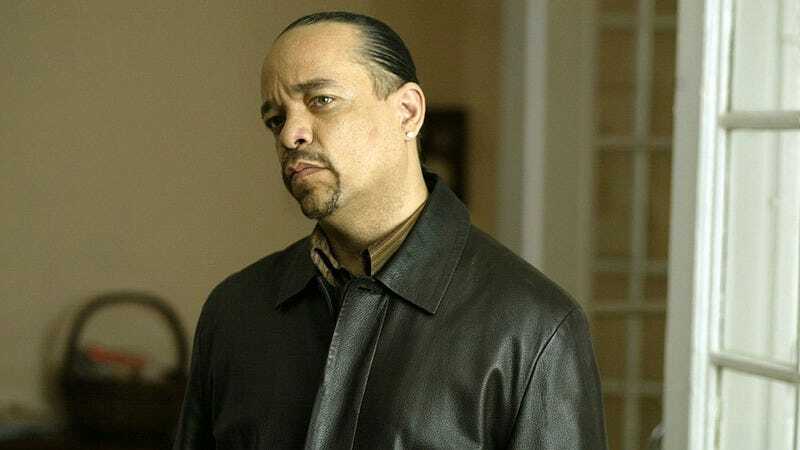 Well, the folks over at ScreenCrush invited SVU star Ice-T to test his Law & Order knowledge, and it turns out he has just as much trouble telling the difference as anyone else would. You have to hand it to Ice-T for being a great sport about the whole thing. The best part is how incredulous he gets after calling out real SVU episodes as fakes. He’s not wrong. How the hell do you even come up with a story about a woman dying of toxic shock syndrome after she sleeps with a man who’s inadvertently causing fetal abortions with a mixture of lube and medication? Yes. That one’s real.